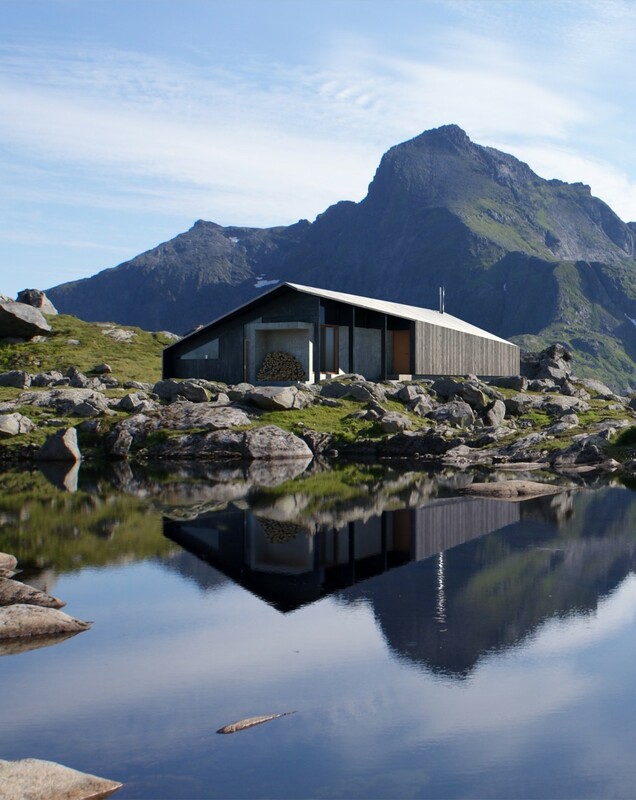 I don’t think it’s a surprise at this point that I’m a fan of Snøhetta. 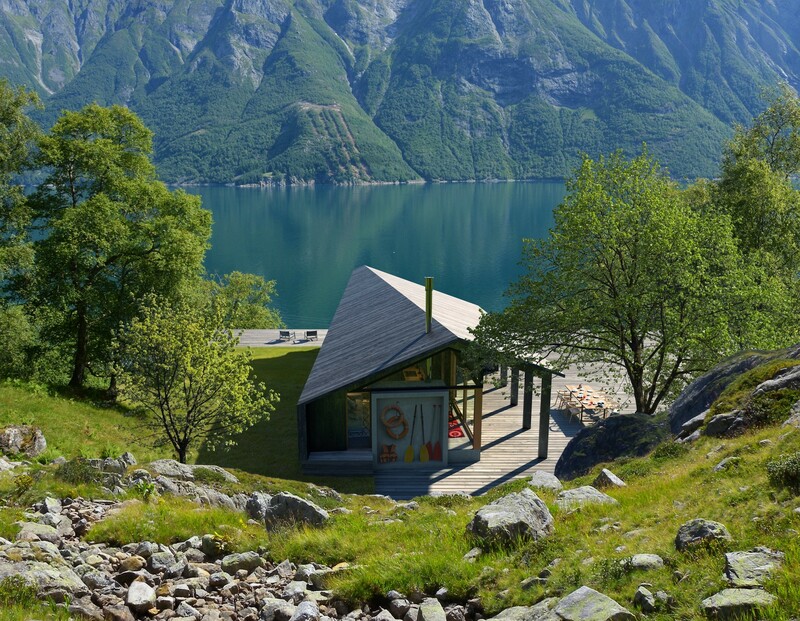 And this lovely cabin design is just another example why. Check this out. There’s a nice play at work here between a long rectangular bar and a playful roof whose base (but not ridge!) has been rotated in relation to that base bar. This opens up a whole bunch of spatial magic. Just from the outside, there’s something fun about it, with roof lines going this way and that, and every side looking different and intriguing. I also like how the play of angles is reinforced by punctuating each end of the rectangular bar by a prominent and solid concrete box that does double duty to store wood or outdoor gear. All of this really sings by the generous porch, where the interplay creates a deck that opens outward and upward towards the landscape beyond. Inside, the windows reach all the way to the roof, bringing scads of light in and letting your view wander out. 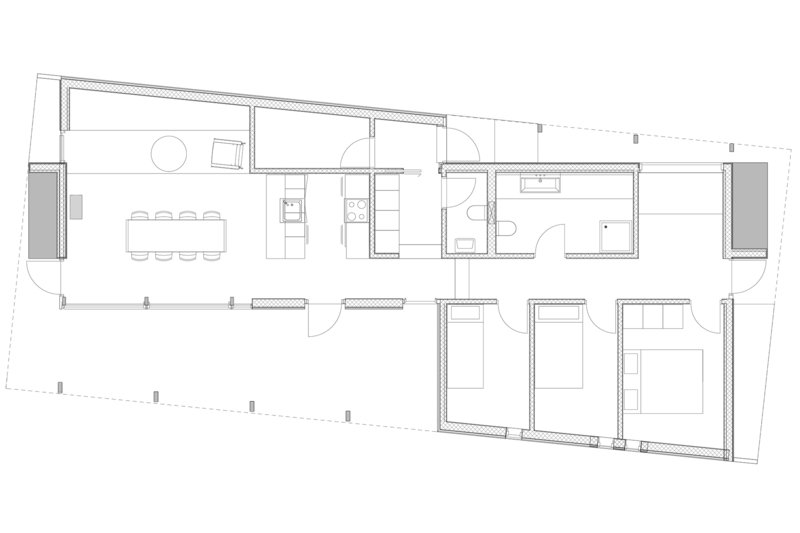 All throughout the play of angles create little nifty moments and opportunities, from the small covered entry on the one side, and the expanding bedrooms on the other. Great, great work. 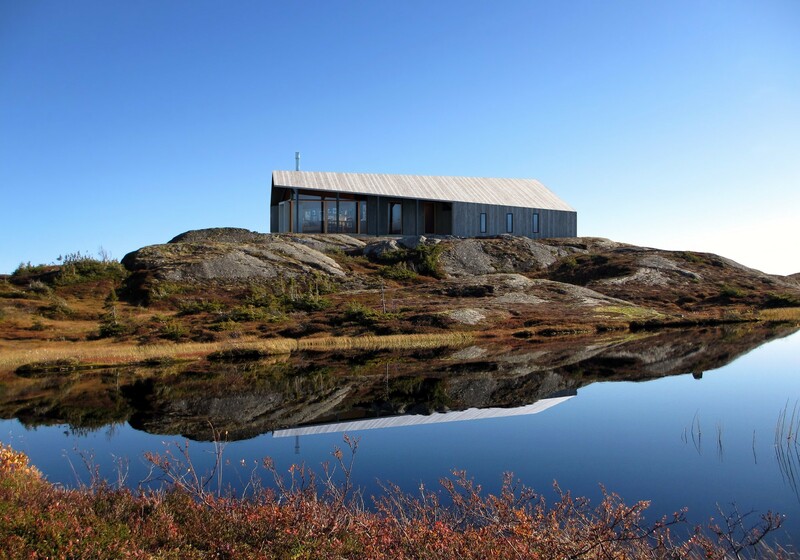 Gapahuk by Snøhetta.